Krys has been a very busy bee this year! 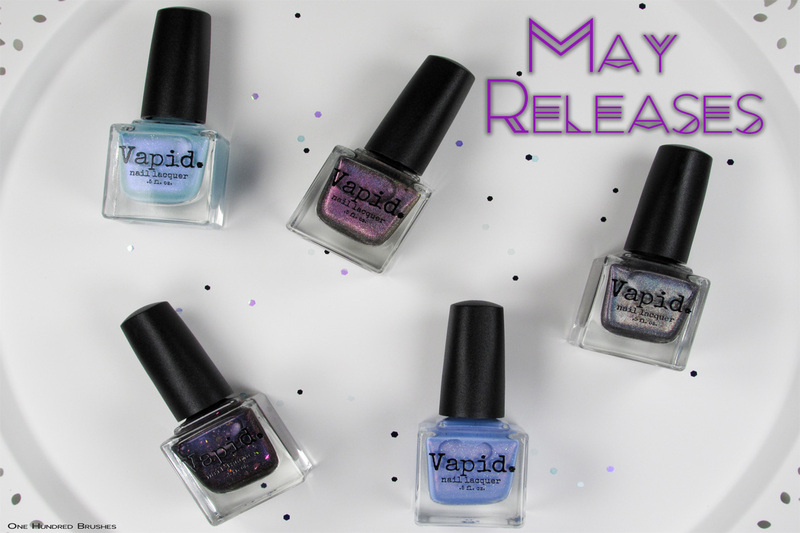 She’s yet again introducing something entirely new for Vapid Lacquer with the May releases; magnetic polishes! 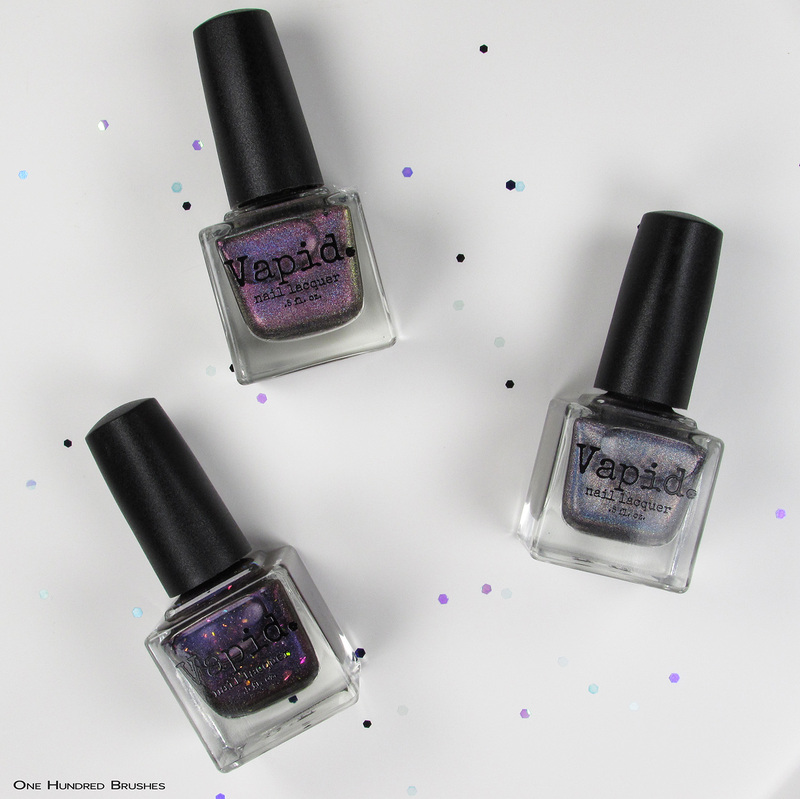 Magnetic polishes are nothing new, but they’re making a huge comeback and I can’t resist the pull (ba-dum-tss)! Also in this release, two fan favorites get the good ole Vapid dirty treatment. Enough chatter, let’s ogle les pretties! 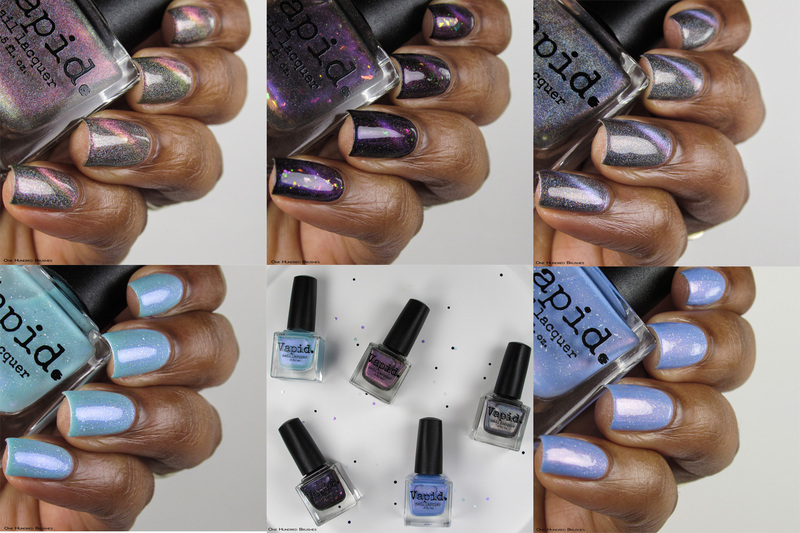 Wanderlust and Watercolor Octopus are two old favorites being reintroduced, this time, chock full of silver holographic flecks. 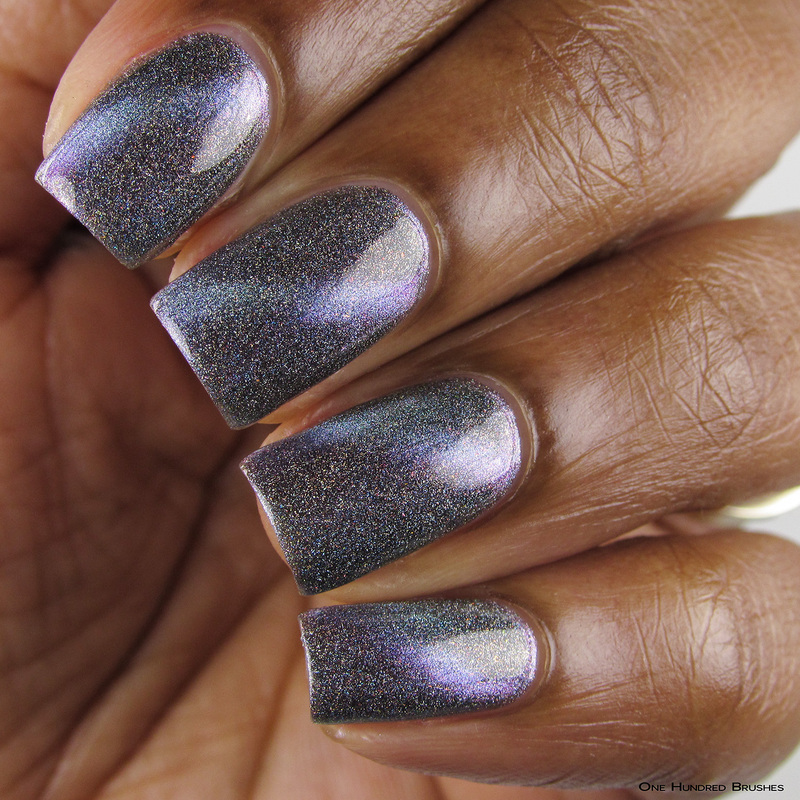 Once in while, Krys will dust off an older shade and dip it a holo treatment for added depth and a refreshed look. 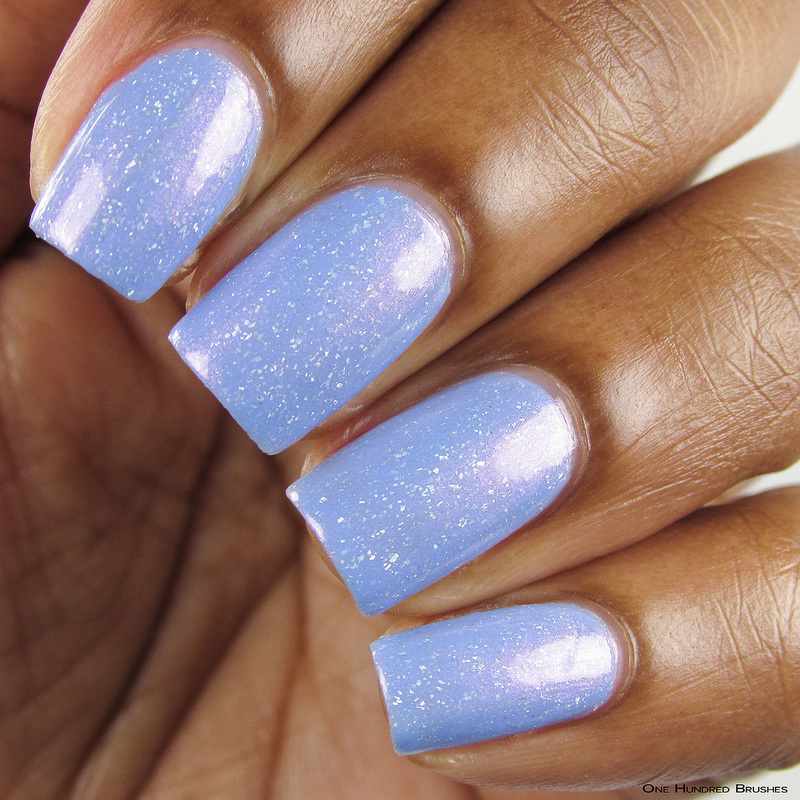 Wanderlust is a periwinkle base with very marked pink shimmer. 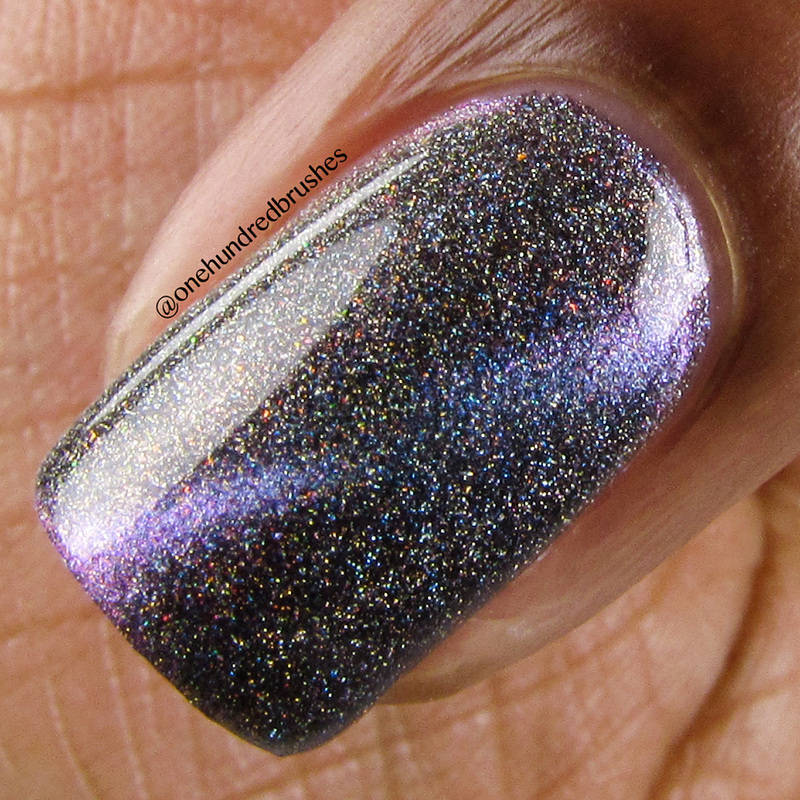 Silver holographic flecks were added in this dirtied version giving it a punch of sparkle. 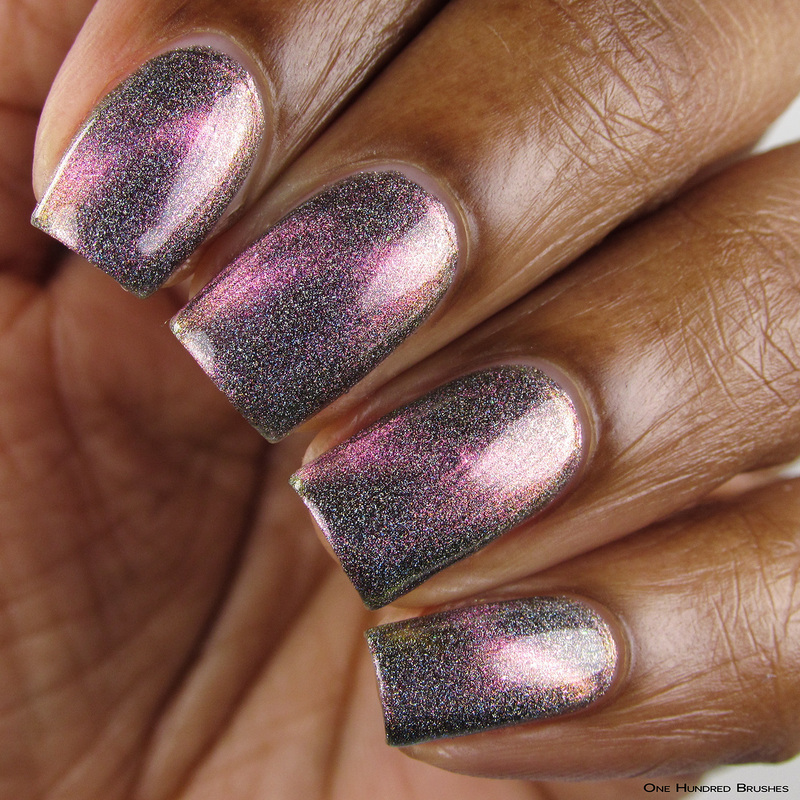 The flecks apply very easy, not needing to be cajoled in any way and they play beautifully with that shimmer. I’m wearing two coats with a glossy top coat. 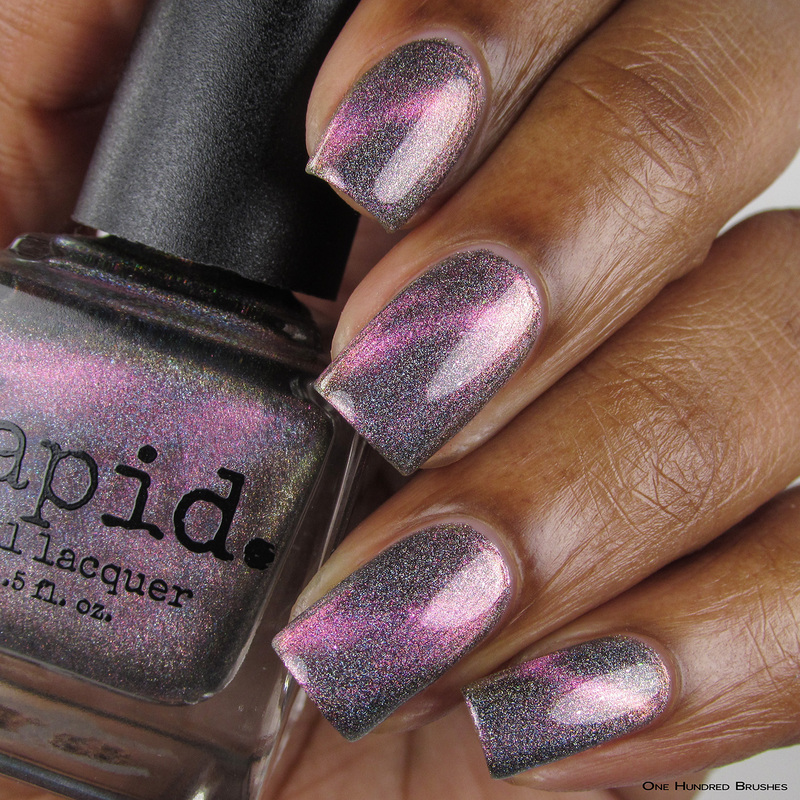 Watercolor Octopus has always been one of my favorite shades and I’m glad to see it getting an upgrade. 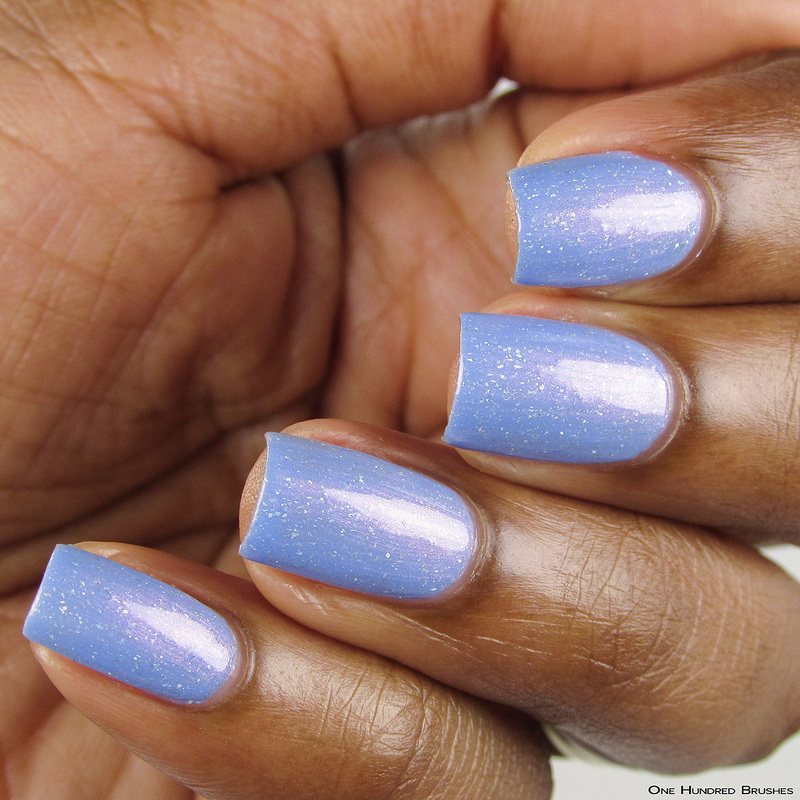 The base is a cool, light aqua with bright purple shimmer. 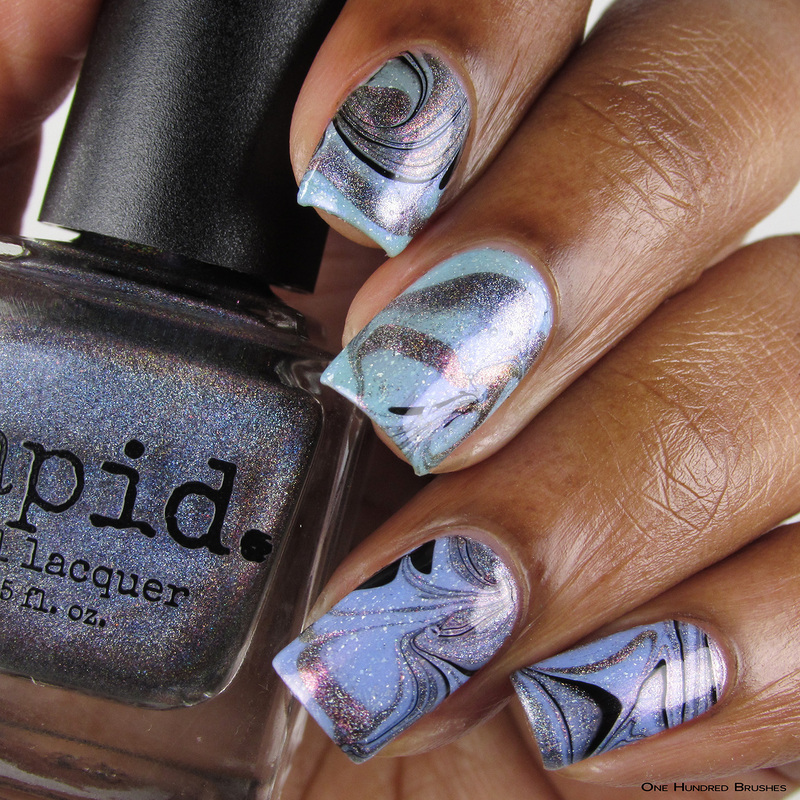 The holographic flecks add lots of dimension without taking away that “chill vibe” this polish emotes. 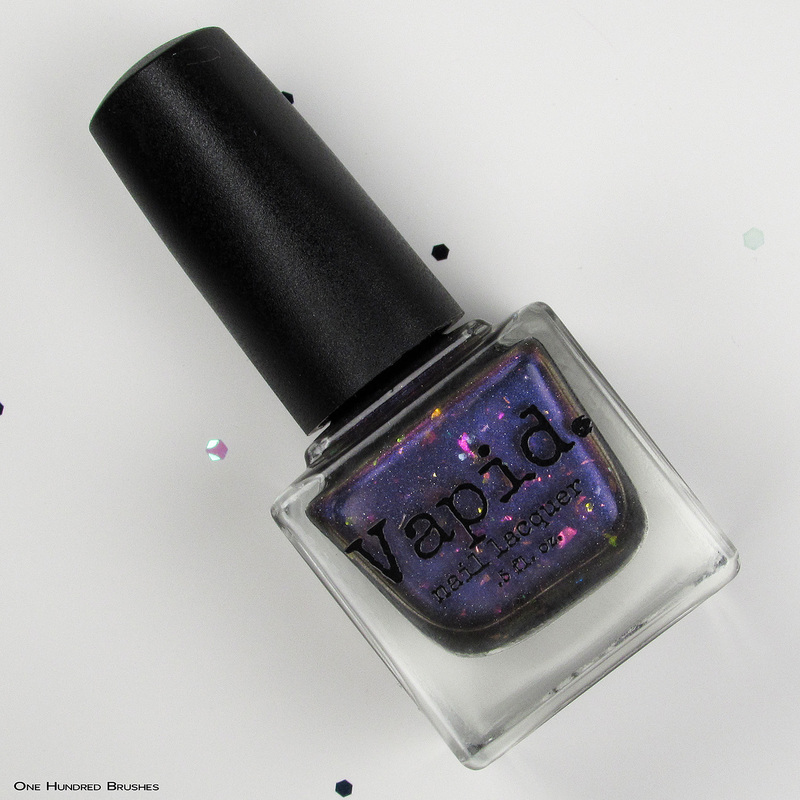 I”m wearing two coats with glossy topcoat. Magnets, yo! 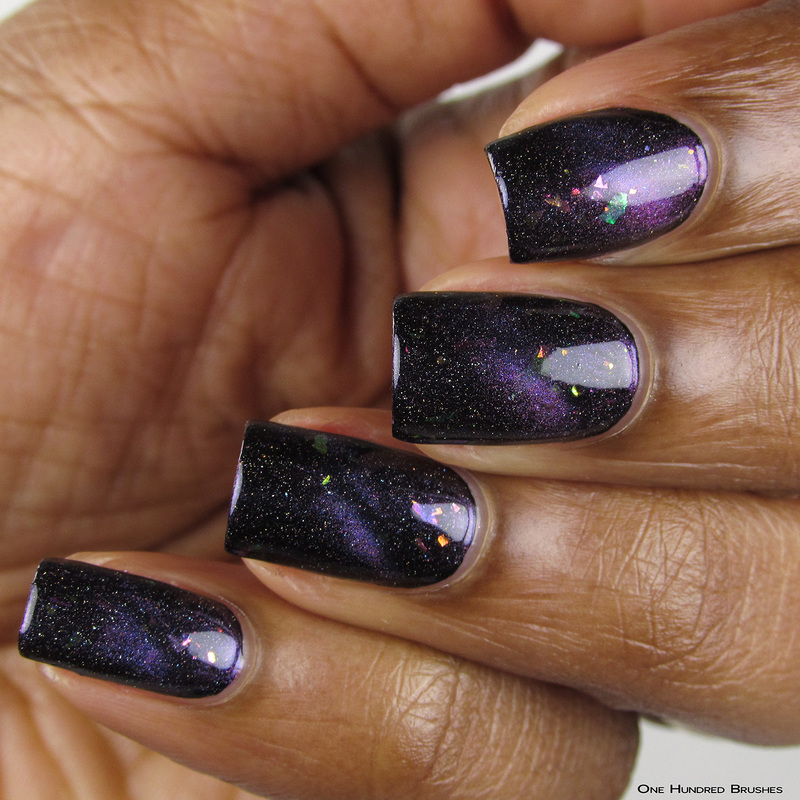 I’m easily gratified by interactive polishes and I’m full in on the re-emergence of the magnetic craze! 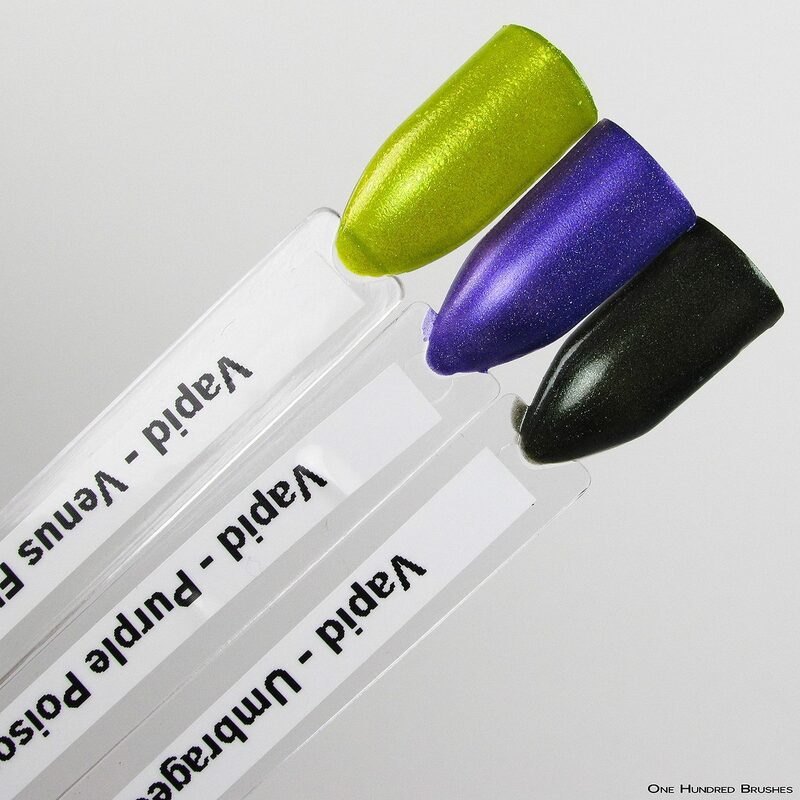 This release has three magnetic polishes, one of which is a topper. I intended to show all of these without being magnetized, but alas, I got too excited. 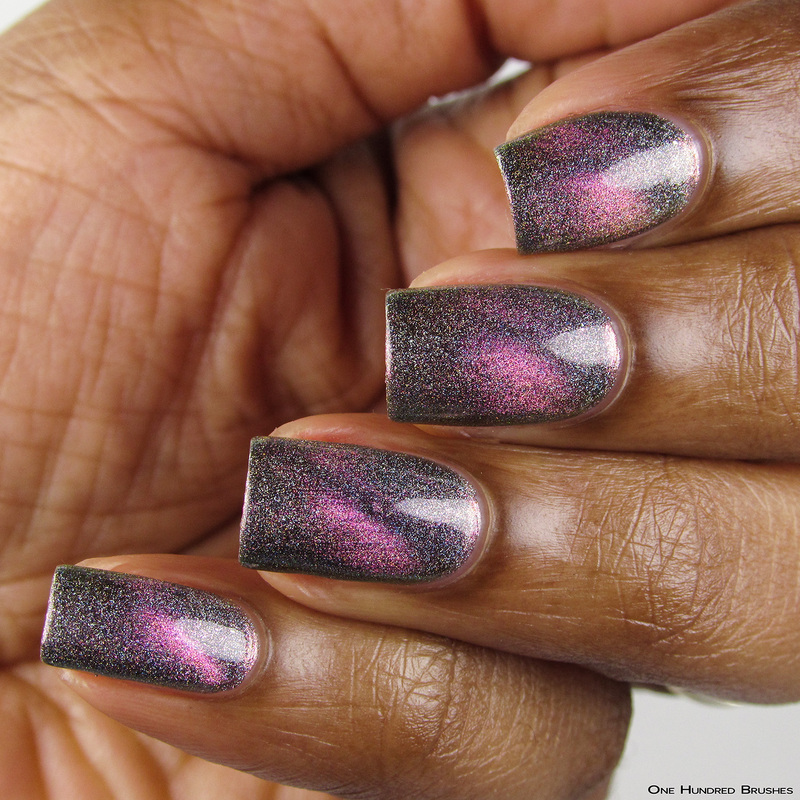 Lisa of Cosmetic Sanctuary showed way more restraint than me and has swatches without the magnetic effect. I know not everyone is on the magnetic polish bandwagon, and these polishes are absolute stunners without the use of magnets. 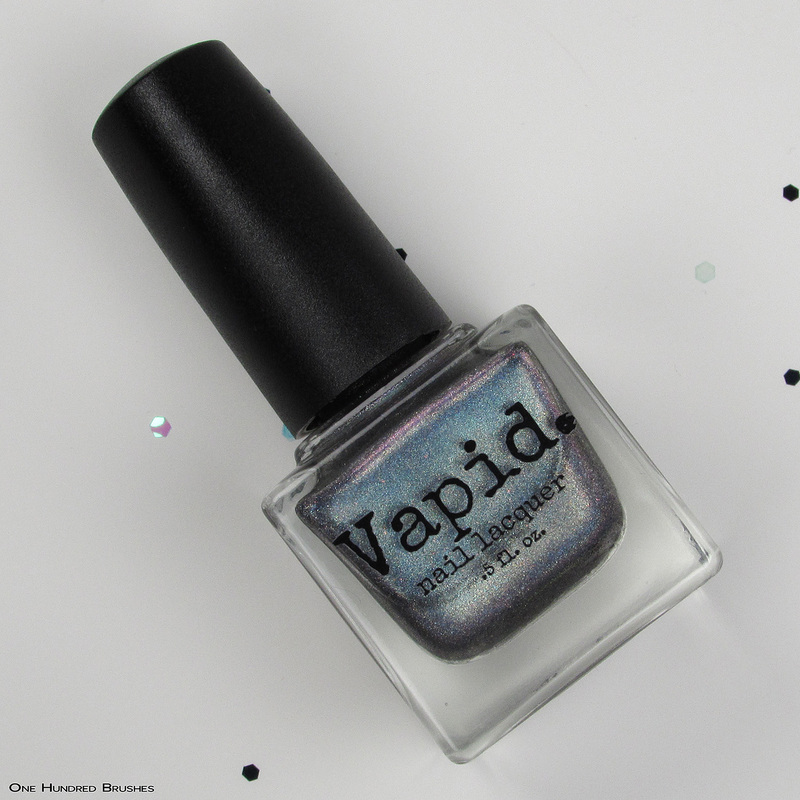 Cautiously Optimistic is simply dripping with holographic goodness! If you’re familiar with Cyber Punk, it’s very reminiscent of that intensity. 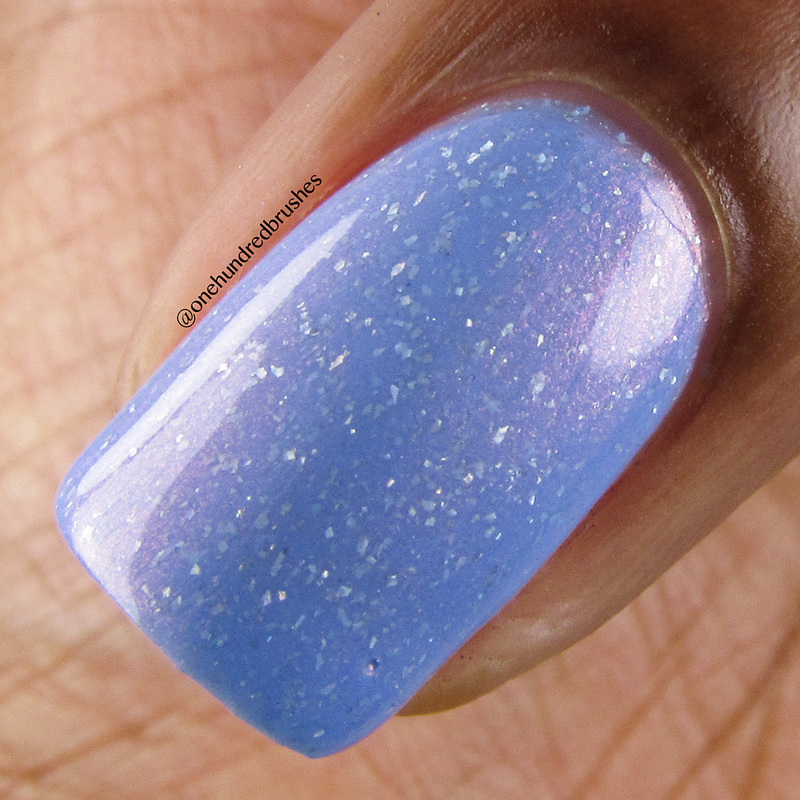 The shimmery base shifts from aqua to blue to violet with a brighter flash of these shades when the magnet is applied. Along with this, Aurora pigment is added for added punch. I’m wearing three coats and glossy top coat. Magnetic Personality is my favorite…well, today it is! It’s really hard to pin down. This one, even more than Cautiously Optimistic, resembles Cyber Punk so much when looking at the bottle. The base is the same intense saturated holographic with Aurora pigments but instead shifts beautifully from pink to gold to green. That pink shift is greatly heightened when the magnet is used but what really captivated me were the gold and green shifts! They’re a bit elusive because of my angles but they were my favorite parts! I’m wearing three coats with topcoat. Well, I had quite a bit of fun with this topper! I actually got around to doing the things I hoped to with it and I promptly rewarded myself with a checkmark in the “done” column. I’m easily pleased, guys! Sam would probably disagree…definitely. 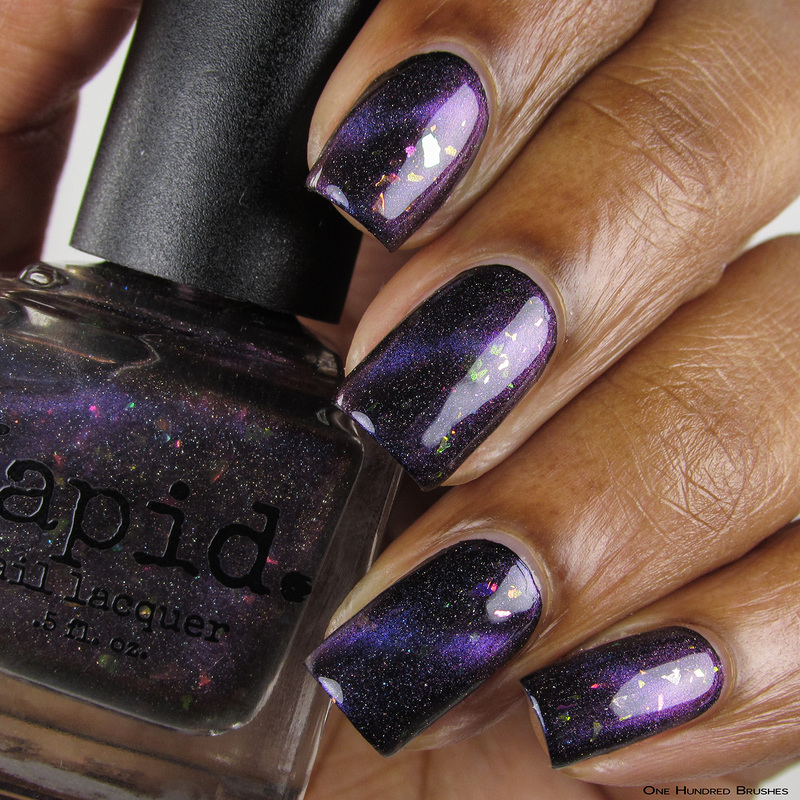 Take Up Space is a sheer but darkened purple base with ultra chameleon color flakes, purple shifting shimmer, and scattered holo. 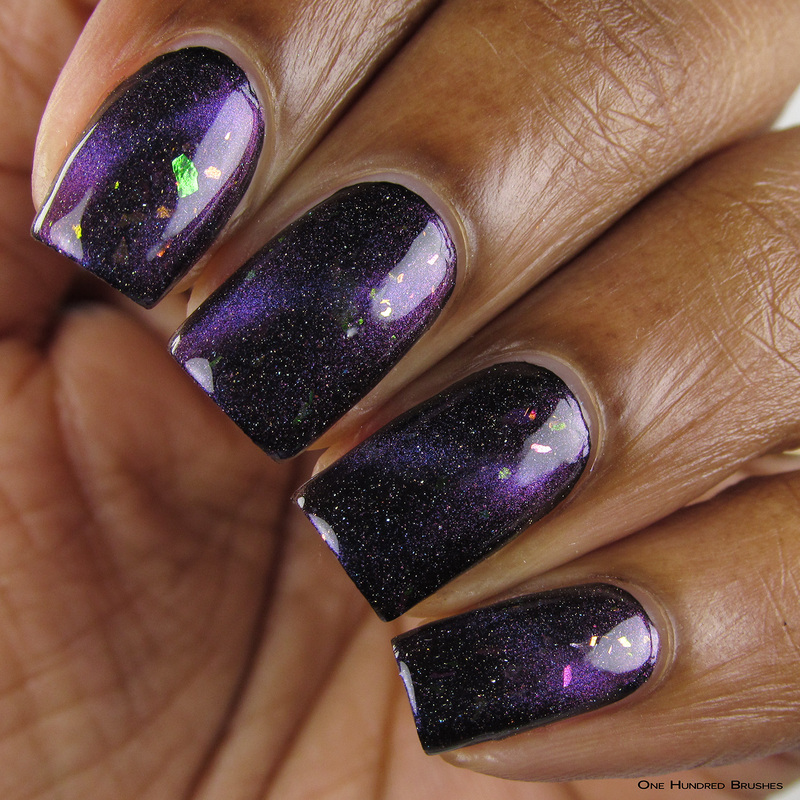 When hit with the magnet, the purple hues are magnified and the surrounding flakes and glitters truly gives this a galactic effect. In the first few pictures, you will see this magnified over a black base. I was able to show Take Up Space without the magnetic effect, as well as magnetized over a few shades, which will be labeled. 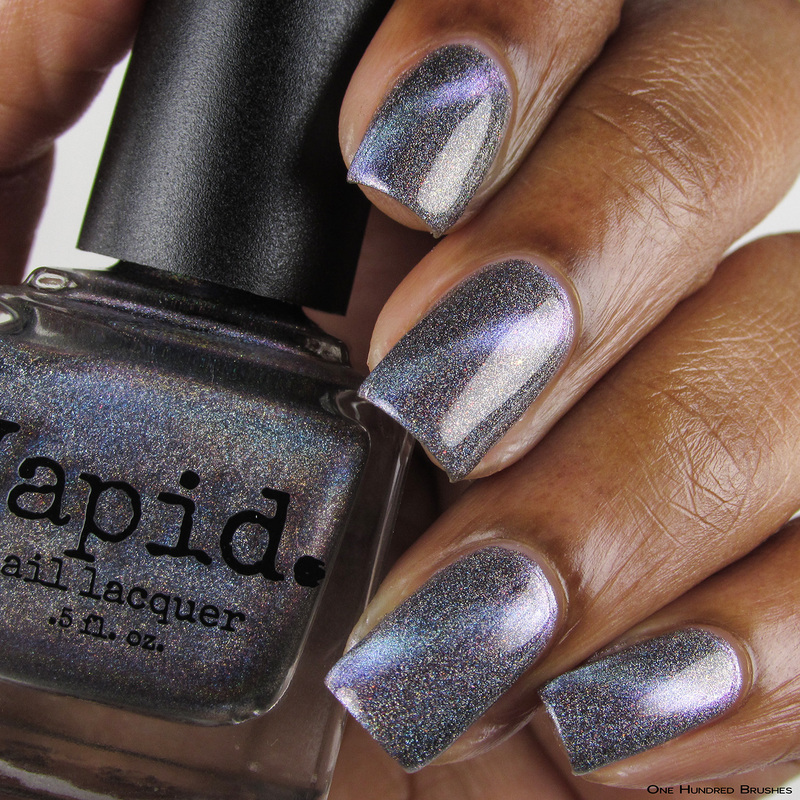 I’m wearing two coats with a glossy topcoat where it’s magnetized. Where it isn’t, I’m wearing one thicker coat over a black base. Using the dirtied polishes as a base, I used the two magnetic polishes along with a black polish for a random watermarble design. I did hit it with the magnet after dipping and cleaning up but I’m not sure if that really did anything. Next time, I’ll try magnetizing while the polish is in the water. There must be a way! 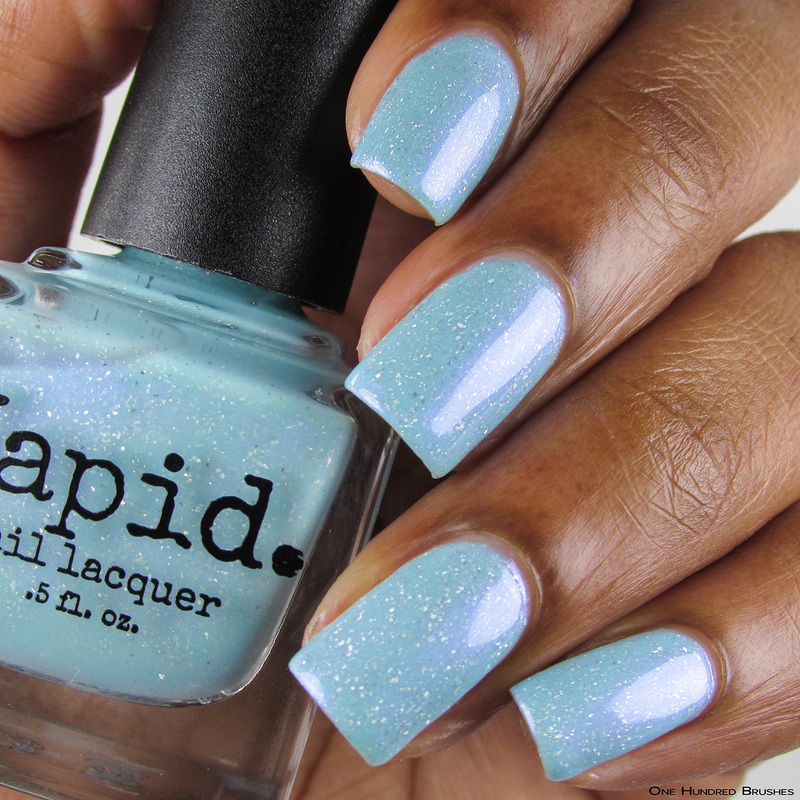 I had a great experience with these polishes; they fall in line with the consistent quality of Vapid products. 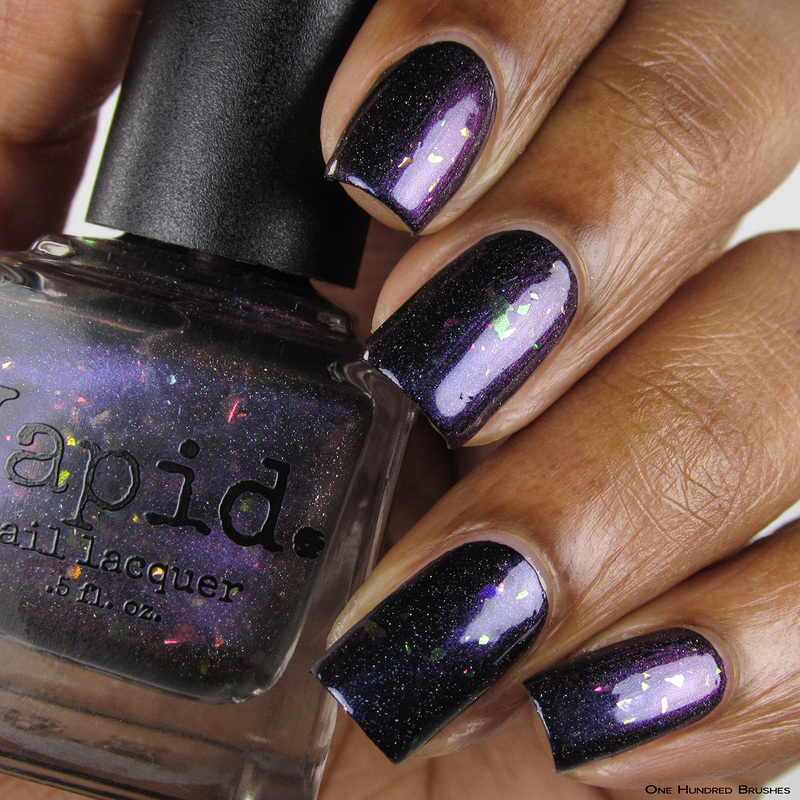 Even if you’re not a fan of magnetic polishes, the release is pretty exciting! 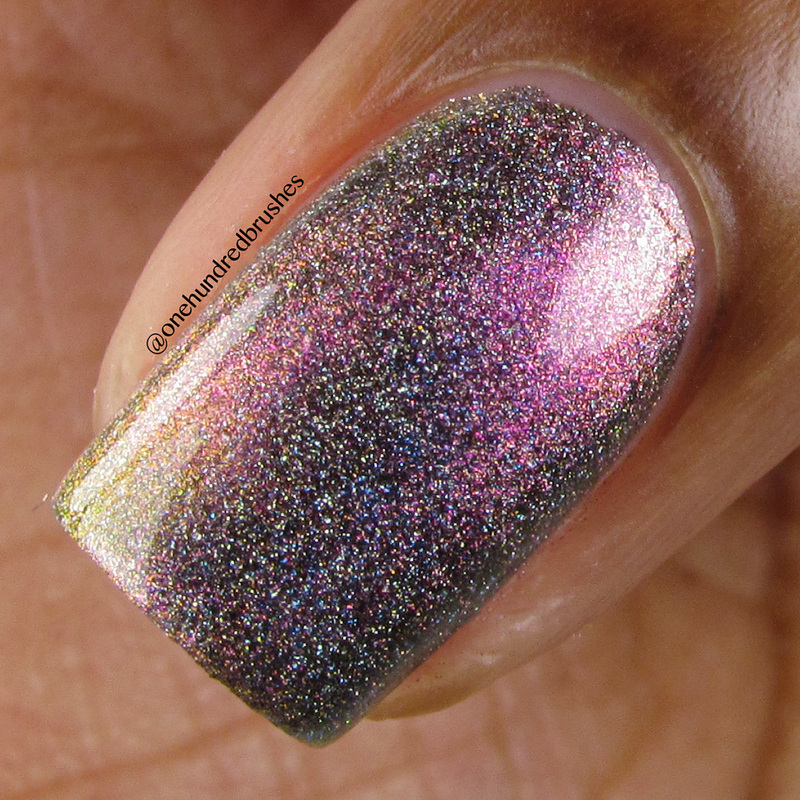 These polishes are crazy intense and if you’re a fan of the holo, these are a must-have! 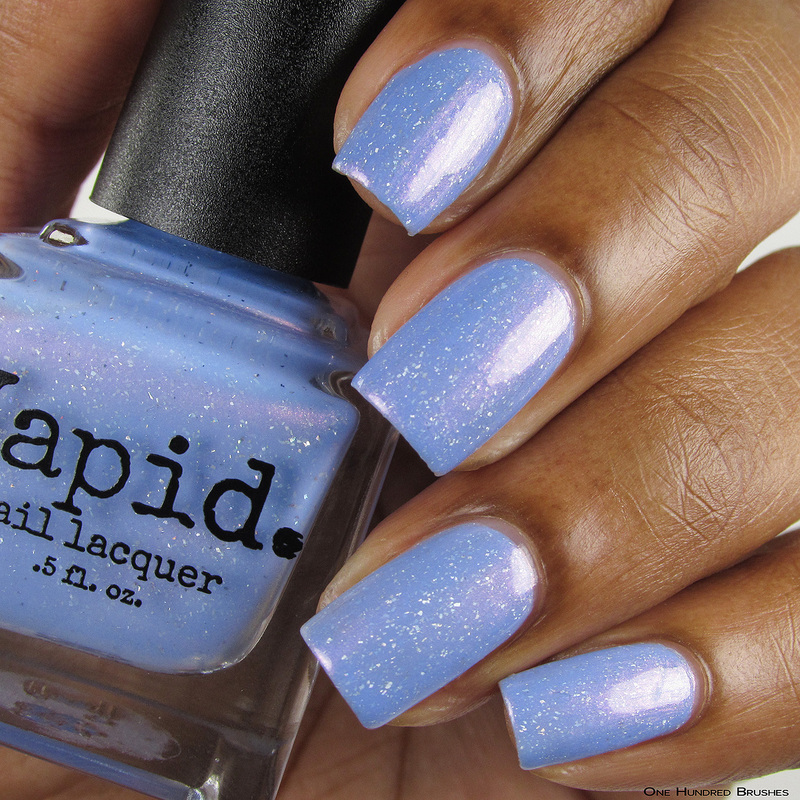 The Vapid Lacquer May Release is scheduled for Friday, May 25th at 7 pm CST. Each polish will be available individually, not as a set. Cat eye magnets will also be available for purchase! 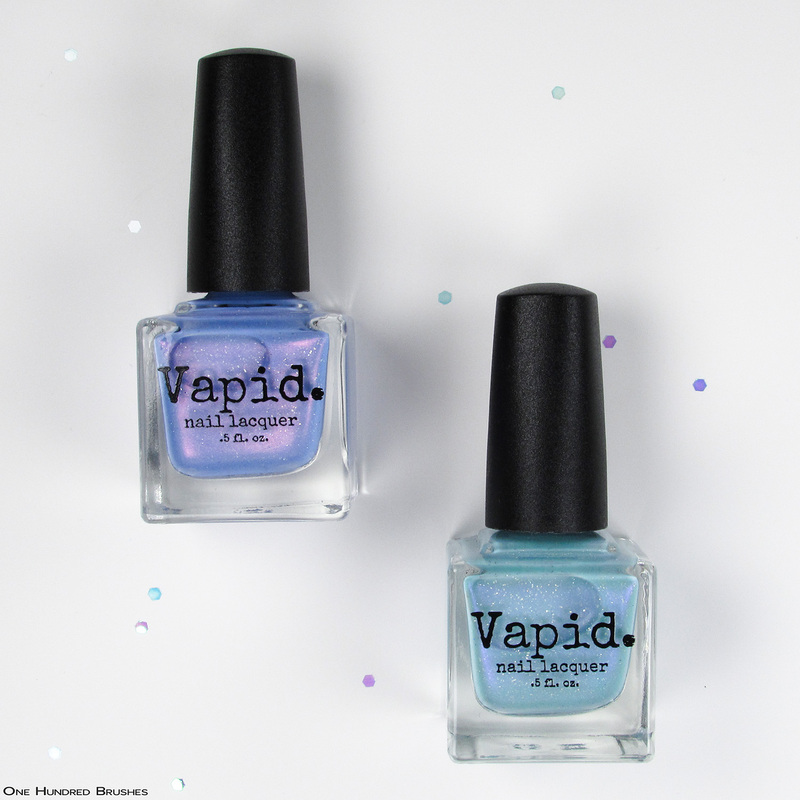 Watercolor Octopus and Wanderlust are extremely limited; start stretching those fingers! As usual, prices as not posted ahead of time. 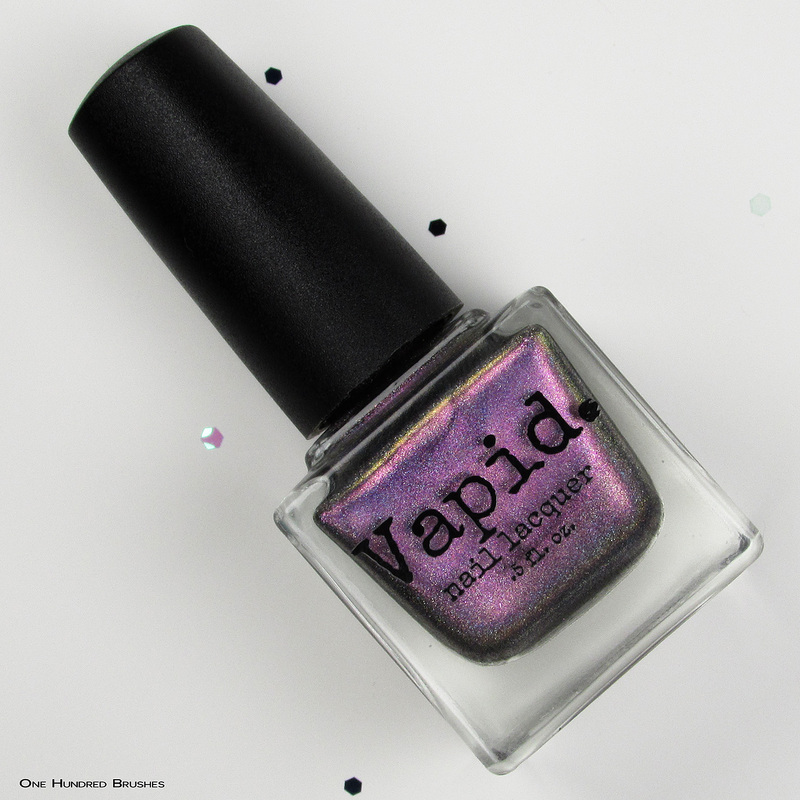 Tell me, are you a fan or foe of magnetic polishes? What’s your favorite from the May releases? 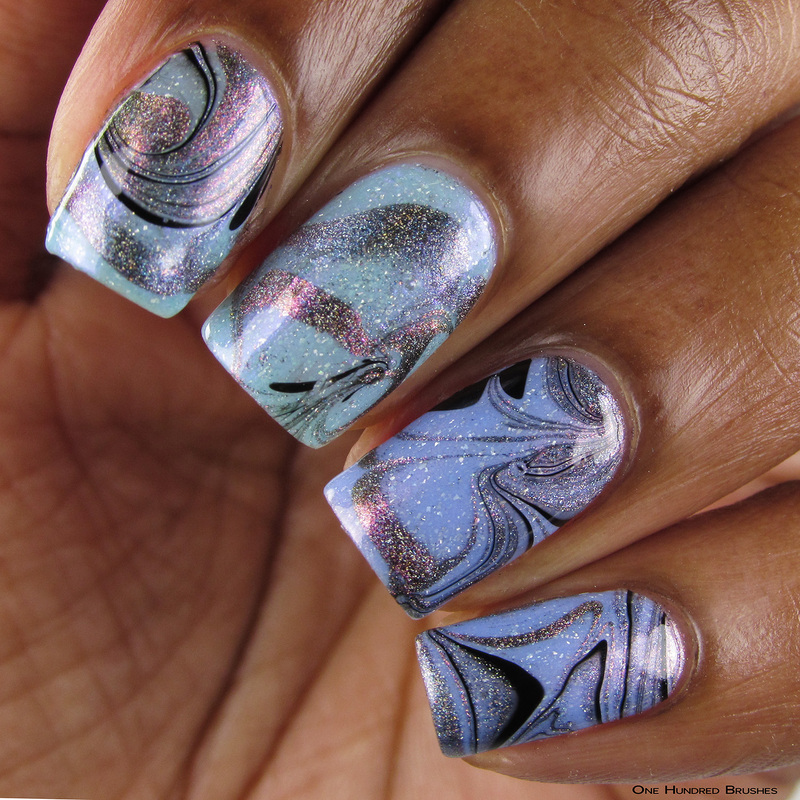 That water marble is stunning, I want to try a magnetic water marble! I’m struggling to find reasons why I don’t need wanderlust and cautiously optimistic! 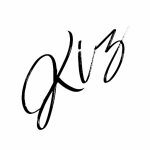 Thanks Kiz! I love the dirty duo! I like Magnetics, but Im pretty burnt out on them again by now. I totally get that, especially if you’ve been with them from a while back! I’m pretty thrilled about the dirties too! I didn’t get into them as much back then as I am now, so I’m very excited too! I love hearing that! Thank you!! Ah crap, I forgot about this release and would have loved wanderlust and octopus. But I bet they are gone. Watercolor octopus is so gorgeous. Definitely want to grab that color! It is! It sold out but will make a return!